There is always something happening in the affiliate marketing space that keeps it changing and evolving. There has been a number of times when it has been seen as the end, especially for review type sites. 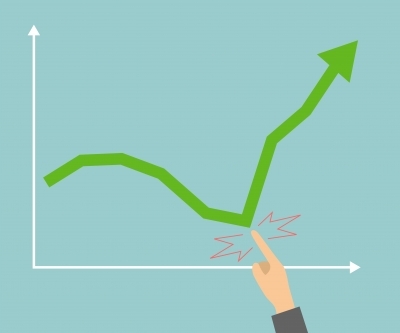 Google changed its algorithm to reduce the ease of ranking review sites that were just there to get people on to the site and then get them quickly to the merchant. There wasn’t much value being added, it also looked at linking schemes to remove their effectiveness. There is always going to be risk with any online activity that relies on ranking in the search engines but some people changed their approach and have managed to earn an income online. Now, the latest issue facing the small affiliate is the likes of Gawker are moving into the space. They do have more marketing and negotiating strength with the merchants. They might get better deals then us smaller marketers can get. They might have better technology too. So they could represent a risk. But at the moment affiliate marketing is expanding and there is always new products being introduced that create new product niches. In the same article the authors says that it might even convince more merchants to start their own affiliate marketing program to get more exposure for their products. At present this is all conjecture as to what might happen. Smaller marketers can be more nimble than the big guys and make the changes needed to continue to prosper, just as some do with adsense in competition to Gawker. They’re not bogged down with corporate stuff and having to write in a certain way and to the people writing it is often just a job. 1.Choose your niche and keywords carefully – looking at buyer intent and competition. 2. Add real value with your content. If you own the product this makes it easy as well as knowing about the product you can write your response to it. It is going to be unique and that is what people are looking for in reviews. It is something other people can’t do the same as you. If you don’t own the product you can still write quality reviews – it takes more research and time to completed. You write about what you find and what that means – you’re helping the visitor in having that information in one place (it can be hard to find) as well as giving an informed opinion on the product (see Extreme Review). 3 If the niche is the right type of niche you can build up an email list – such as model railways is one where people might want to hear from you where as clearing up acne is not something people will be wanting to hear from you for too long. You don’t need to have a list to be successful as an affiliate marketer (see Pajama Affiliates Home Blogging and Affiliate Marketing). 4. Keep learning about the niche you choose to become as informed as you can be and always be on the lookout for new opportunities. There always new products and ideas being developed as well as new keywords being searched for. 5. 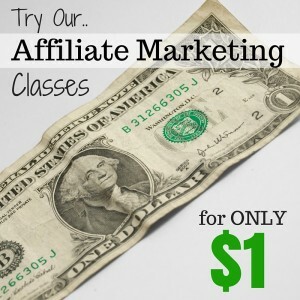 Keep learning about affiliate marketing ,developing your existing skills and new skills. This way you are always improving and increasing your value too by reaching more people as you grow. For me, I still see affiliate marketing as viable (as does the writer of the article I referenced) if you are prepared to work hard to add value with both your reviews and information type posts. It is by working hard on the content as well as being smart with what you write about that you can compete and prosper in affiliate marketing. So, nothing new about what is needed from what I can see on how to develop a business that provides a solid income using affiliate marketing as the basis of your income and in particular from the Amazon Associates Program. What’s your view on the future of affiliate marketing with companies like Gawker moving more into the space? Is it an opportunity or a threat. Don’t forget to sign up for more internet and affiliate marketing tips.